Crossing the Lines explores the relationship between employees and their employers in the Netherlands and Bangladesh. 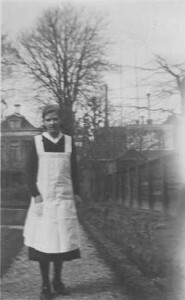 How it began It all started with my grandmother Dientje Venema, who worked as a maid from her 12th to her 24th in Groningen. Then it turned out one of my good friends Arnob Chakrabarty had partly been raised by a maid. When he returned to Bangladesh in 2010, he had hired a driver and a part time maid. I decided I wanted to explore relationships between employers and employees, together with other (photo) journalists. Photo, video and text Crossing the lines is a multi media project on parallel lives in two countries. Domestic workers, maids, cleaners and au pairs and their employers will be portrayed in the house of the employer. Employee and her or his employer will be photographed and captions about their lives added. The texts will reveal some information about their lives, their personal history and their work. And how they see each other. At work in the private sphere Because the work is done in the private sphere the positions are not fixed. Both in the Netherlands and in Bangladesh employers and employees are of a different social class. But not always. Foreign students work as au pairs, cleaners become friends who visit birthday parties. Bangladeshi domestic workers can play a more powerful role in a household than a daughter in law, and more close to their ‘mistress’ than their husbands. Exhibitions: in print and digital In the Netherlands we organized one exhibition in 2011, during an international conference on undocumented migrant workers in Wereldhuis June 24th.This website shows photo’s, stories and short video clip with double portrayals of domestic workers and their employers.